Bruno Lopes Cancado Machado, M.D., has joined the Department of Urology in the College of Medicine at the University of Arkansas for Medical Sciences. 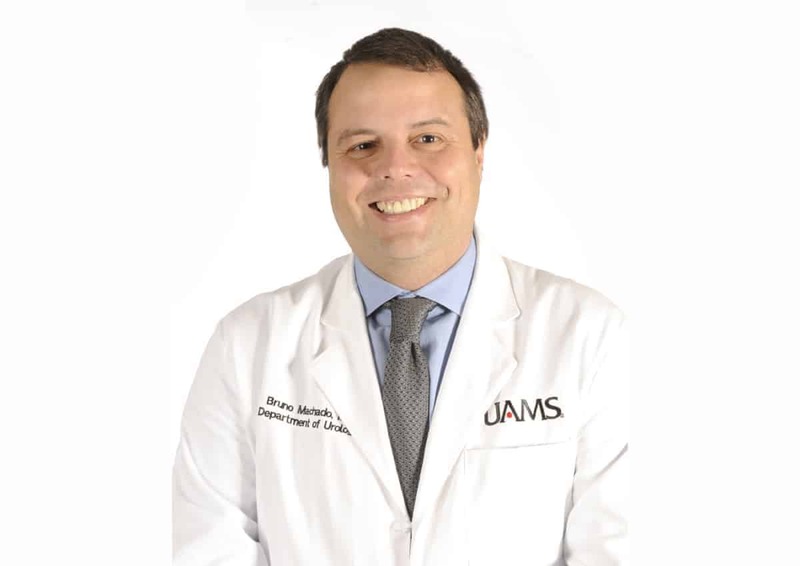 July 16, 2018 | July 16, 2018 | Urologist Bruno Lopes Cancado Machado, M.D., has joined the University of Arkansas for Medical Sciences (UAMS) as a fellowship-trained specialist in urinary system surgeries and minimally invasive endoscopic techniques. Machado sees patients in the Urology Clinic and is an assistant professor in the Department of Urology in the College of Medicine. Machado specializes in treating benign and malignant prostate diseases, surgical bladder diseases and vasectomy reversal. He uses minimally invasive techniques to treat kidney, ureter and bladder stones. He also screens for prostate cancer and uses the latest management practices for benign prostate enlargement and vasectomy procedures. Machado received his medical degree at the Fluminense Federal University in Niteroi, Rio de Janeiro, Brazil. He completed a residency in general surgery at Hospital Geral de Nova Iguacu, Brazil, and a residency in urology at the Hospital Universitario Clementino Fraga Filho, Rio de Janeiro, Brazil. Machado completed a laparoscopic robotic surgery fellowship at the Clinique Saint Augustin, Bordeaux, France. The Department of Urology evaluates and treats diseases and anomalies of the genital and urinary systems. The department specializes in: urinary incontinence; impotency; male infertility; vasectomies; vasectomy reversal; reconstructive urology; stone diseases; urinary infections; geriatric urology; cancers of the kidney, bladder, prostate and testes; laparoscopic and endourologic surgery.